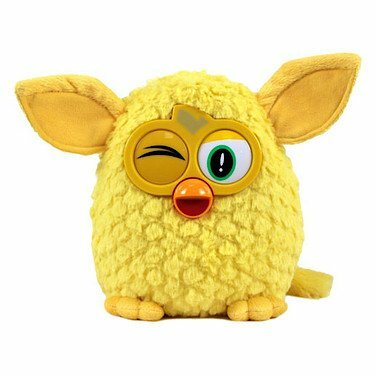 The furby 20cm yellow soft toy can be a friendly creature who loves lots of cuddles. The furby 20cm plush toy is readily available in a rainbow of bright colours. It doesn't talk, but makes a great bedtime pal for kids aged 10 months and up. This cute critter has super soft fur and capabilities a funny facial expression. Package Dim. : Height: 6.3" Length: 8.39" Depth: 6.5"